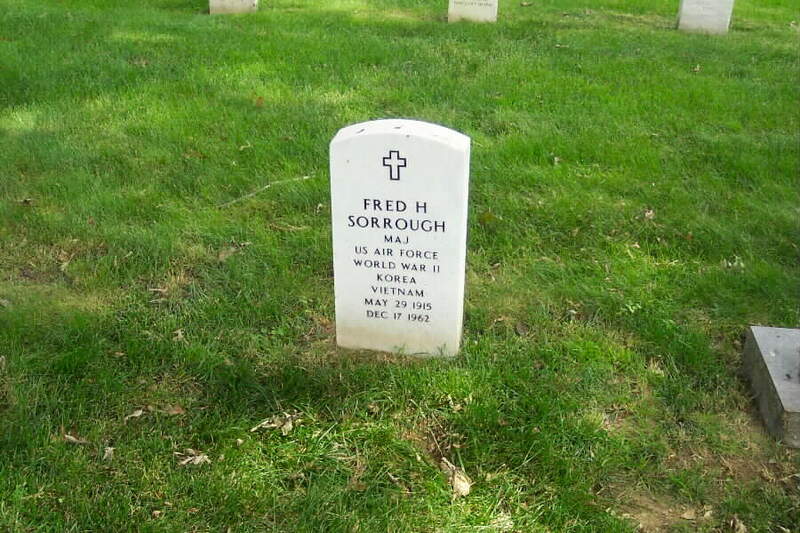 Fred H. Sorrough, Major, United States Air Force. He served in World War II, the Korean War and the Vietnam War. 29 May 1915-17 December 1962. He is buried in Section 1 of Arlington National Cemetery. His wife, Martha Bonner Sorrough, Lieutenant Colonel, United States Army, who died on 27 December 2001, is buried with him.